The rise of food parks in the country has seen a dramatic boost in the past few years. More and more food parks are sprouting up, each one having a different take of their own to distinguish themselves from other food parks. 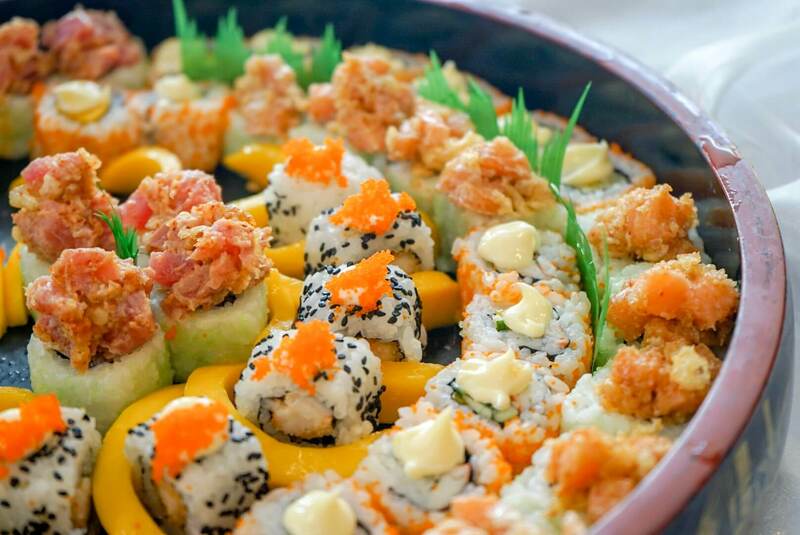 Located between the Cultural Center of the Philippines Complex and the Sofitel Philippine Plaza Manila, Seascape Village is a new addition to this growing food park scene in the country. 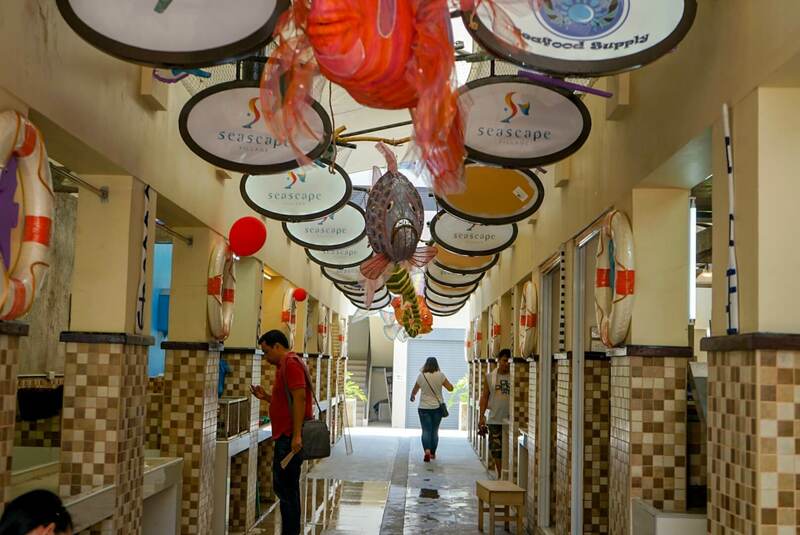 Offering a well-organized and cleaner wet market as well as mall-like arrangement of restaurants, Seascape trying to differentiate themselves by redefining the traditional “Dampa” experience where you can buy fresh goods and have them cooked for you. They pride their self by sourcing their seafood and produce from local fishermen and farmers all over the country to highlight the bounty waters and fields of the country. Their location also gives the diners an exceptional view overlooking the Manila Bay and an undeterred view of the sunset in the afternoon. 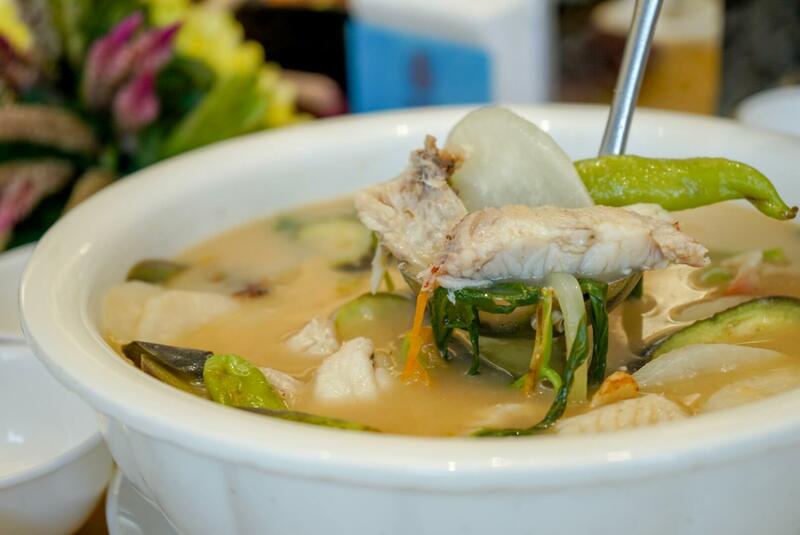 The Bay Market includes a total of 13 restaurants, serving a variety of dishes from Filipino cuisine to Asian and other foreign cuisine. 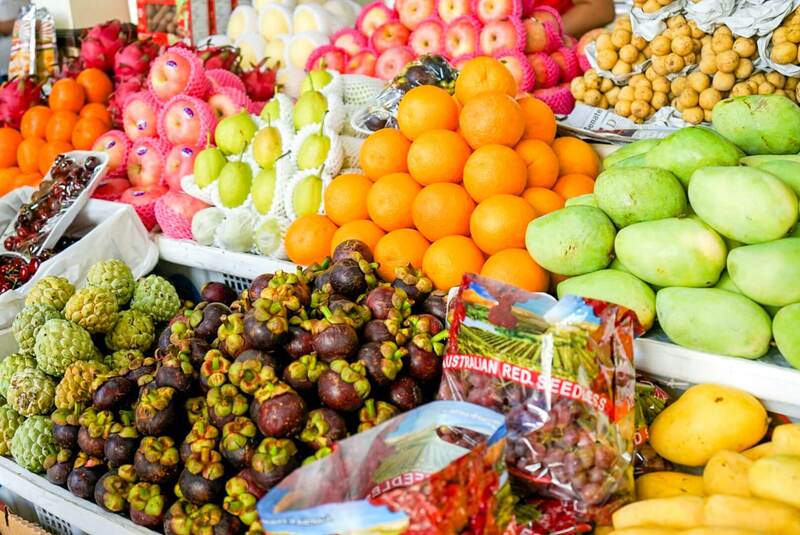 Every stall accepts the concept of “paluto” where you can buy and choose goods from the wet market and have the restaurants cook it for you. We had the honor to get invited for their food tasting event where the restaurants showcased what they has to offer. Our first stop was at the Mazu Restaurant where we tried their French Beans with Salted Egg (Php350-small, Php500-medium, Php750-large), Sake Tunaloin (Php400), and Adobong Pusit (Php550-medium, Php1,100-large). 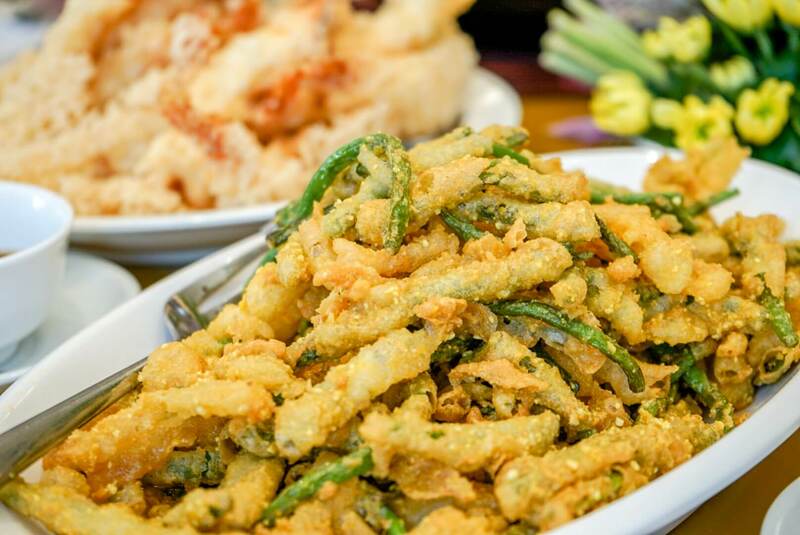 The French beans are the perfect appetizer. 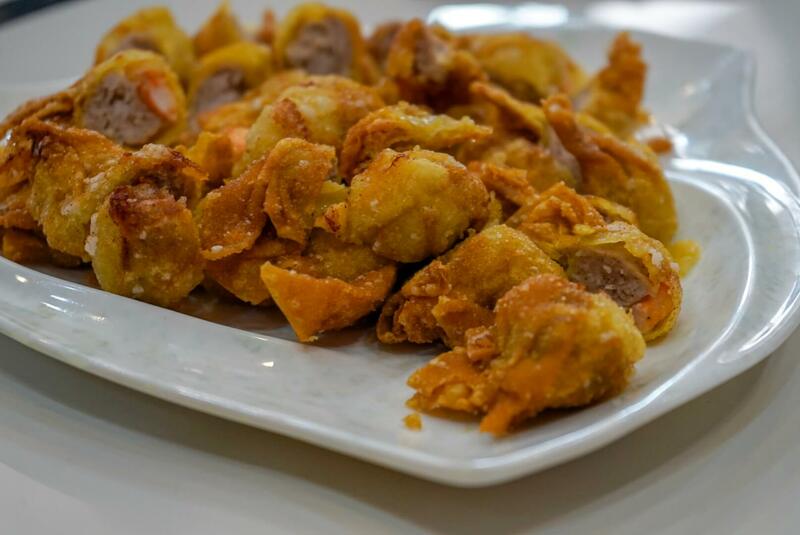 The beans are coated in salted egg mix and then deep fried to perfection. The beans doesn’t feel soggy and still punch that fresh crisp with every bite. The hints of salted egg adds a different layer and flavor to the dish making it really good. The Sake Tunaloin which is fresh tuna slightly seared and coated in sesame seeds is perfect for tuna lovers. 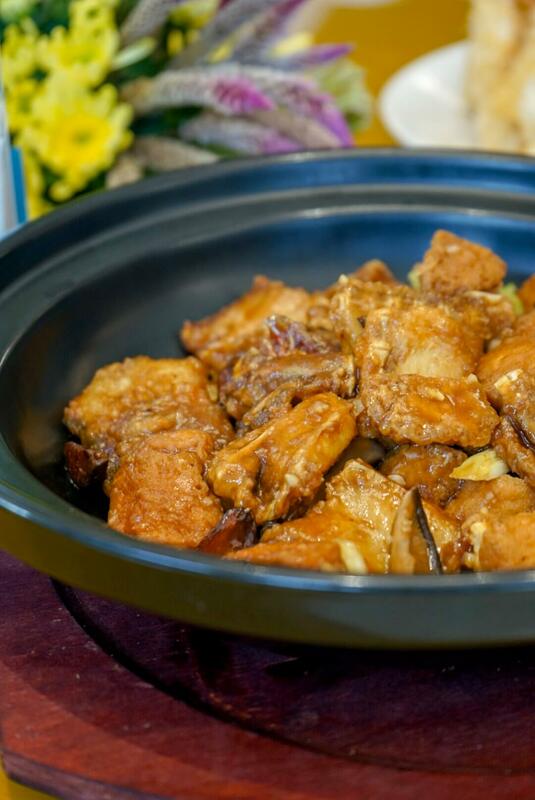 The fish meat taste very fresh and the sesame seeds complements it well. 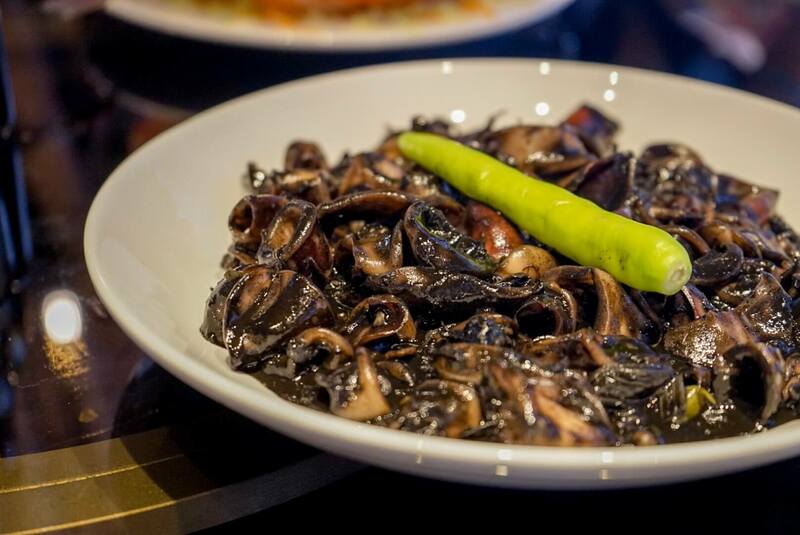 Their Adobong Pusit on the other hand gives that homey comfort with its salty and sweet combination of flavors. Our next stop was at the Yatai Asian Cuisine which offers various Korean and other Asian inspired dishes. We tried their Japchae which is a platter of Korean glass noodles topped with tasty beef and vegetable stir fry. We also had their Kaki Fry which are deep fried Japanese-styled breaded oyster. 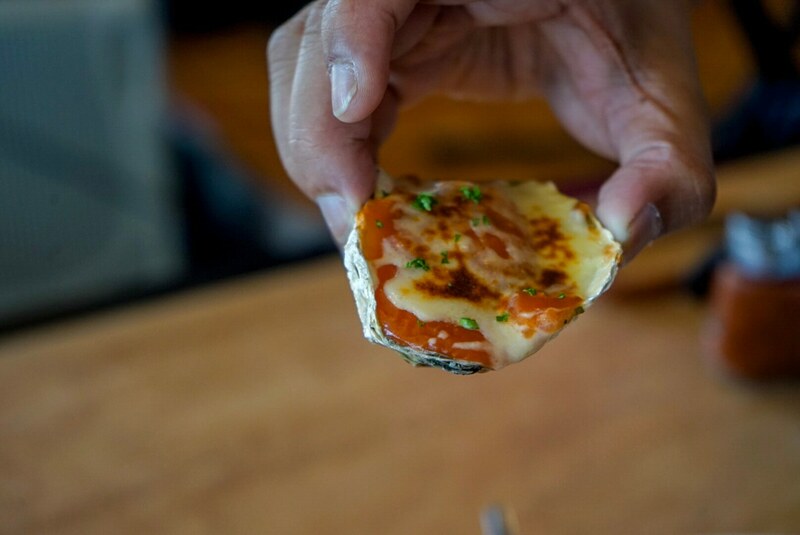 This is one of their signature dish and you will not wonder why when you take a bite and the juicy oyster and taste the explosion of flavors. We also had their grilled Beef Wagyu cubes. Wagyu beef is one of the most sought after variety of beef because of the perfect balance of fat and meat. 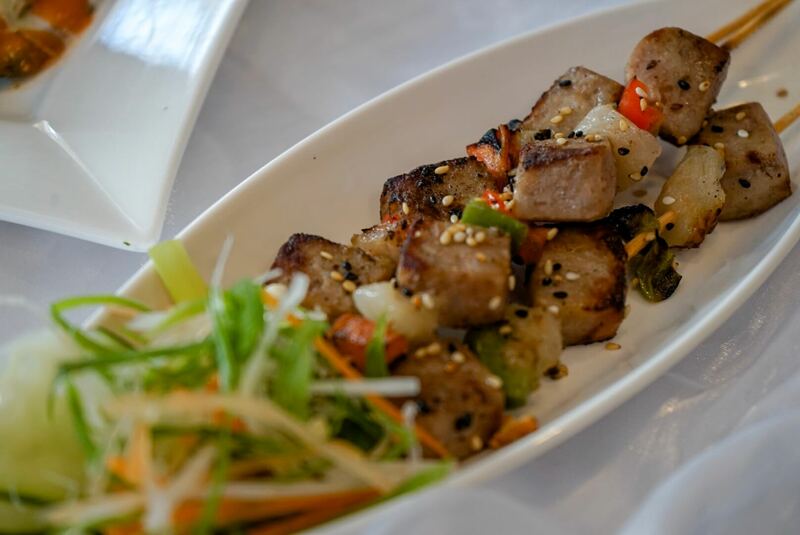 The beef cubes is grilled with just salt, pepper, and other secret ingredient to give that satisfying meaty bite. Lastly, we had their Makimoto or rolls of sushi rice and seaweed with fish or vegetables inside. 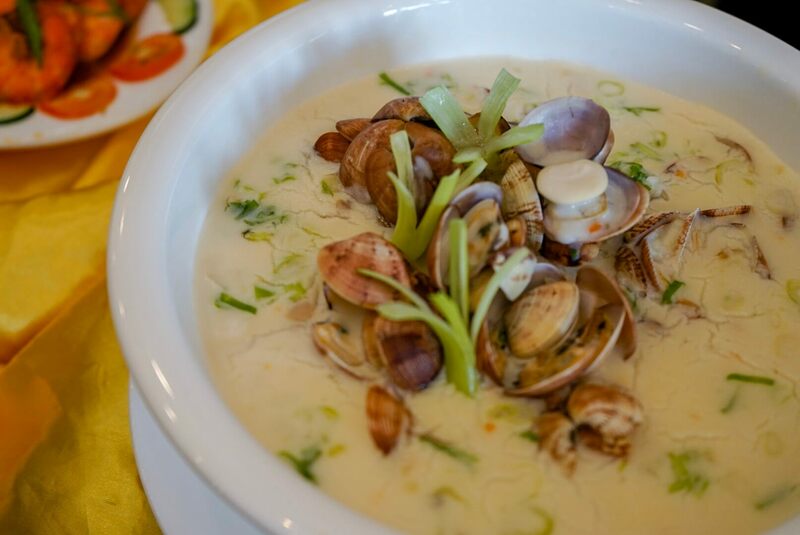 We then headed to Lola Ina’s Paluto wherein we first tried their Clam Chowder. The dish was creamy, flavorful, and overall gives that comforting feel. 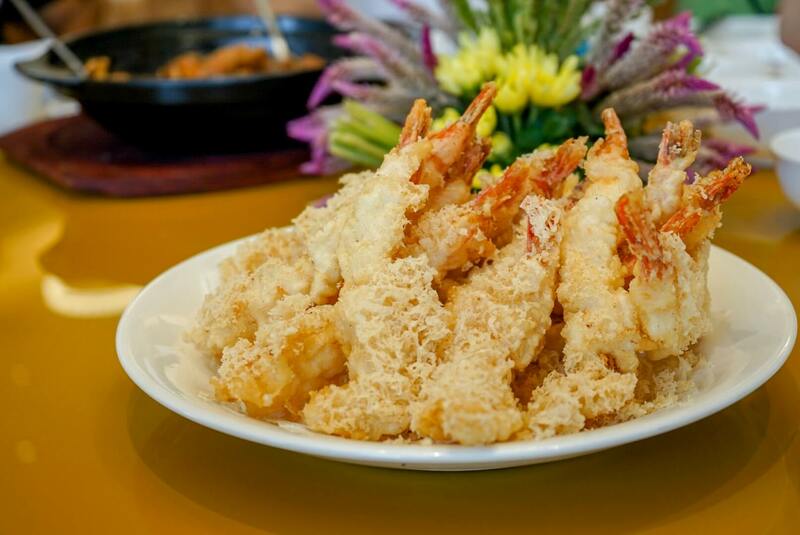 We paired it with their Deep Fried Shrimp with salt and pepper, and their Deep fried squid with salted egg. Both dishes were very delicious and fresh. 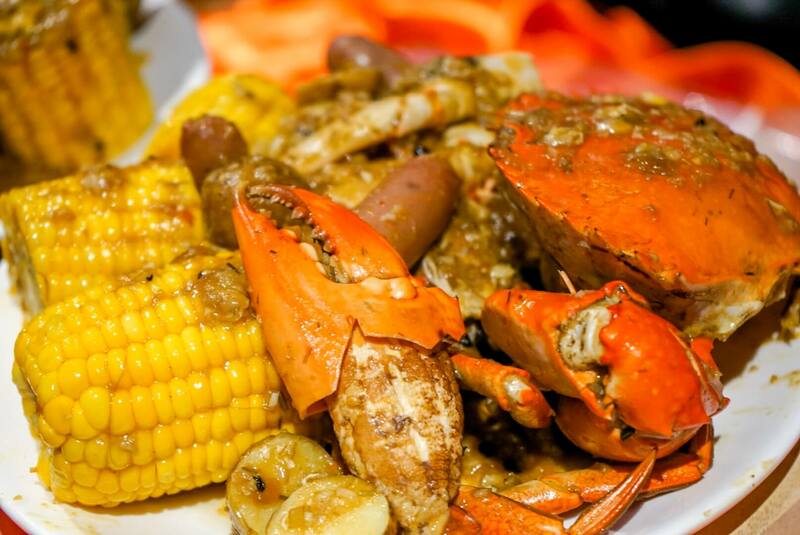 Lola Ina’s is the perfect choice when you want to indulge yourself in a seafood feast. Boiling Crab was our next stop which obviously from its name specializes in crab dishes. You can have any kind of crab dish in this restaurant from garlic fried to sambal. We had their Pomelo Salad to start off our meal and it was surprisingly good. We then had their Mussels in Salted egg and Crab Chowder Soup, both dishes were amazing and we even had rice to complete the meal. One of the crowd favorite during our food crawl was the Wowcow Fresh Beef Hotpot. 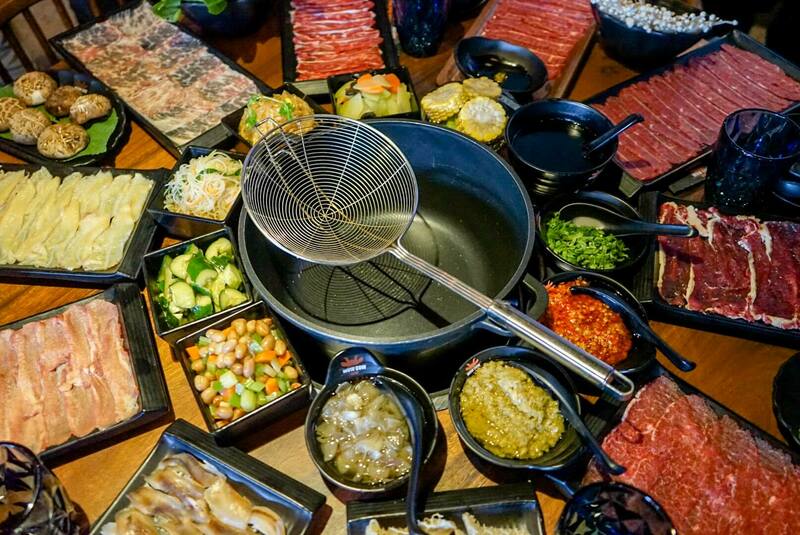 The restaurant serves beef hotpot in the classic way wherein it’s being cooked in the middle of the table and you will have a wide array of toppings, spices, and sauce to choose from. If you are looking for somewhere to just have your snack or chill out for the afternoon, you can try Darwin’s Café Restaurant. We had their HongKong Style Milk Tea and Deep Fried HongKong Fish Cakes. The Milk Tea tastes very authentic and not watered down. Our next restaurant was at the Asian Taste Seafood Restaurant. 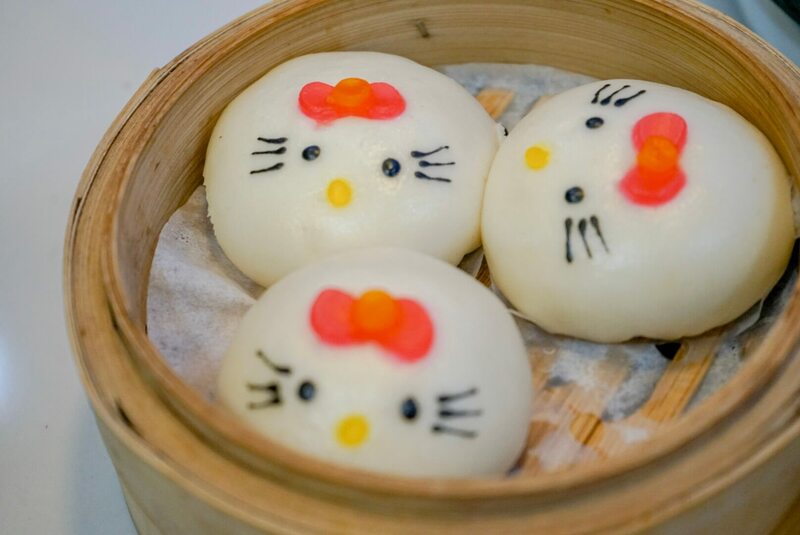 They serve authentic Asian inspired cuisine featuring different seafood dishes. We had the same French Beans in Salted Egg like the one we had at Mazu. Likewise, it got the fresh crunch and subtle hints of salted egg like the one we first had. We also had their house specialty which was the Tofu and the Shrimp in Salt and Pepper. The Tofu was really good and does taste pretty meaty, this is a great substitute for people who are limiting their meat intake without settling for bland alternatives. The Shrimp was fantastic as well, it was nicely seasoned and the spices brings out the flavors of the shrimp. 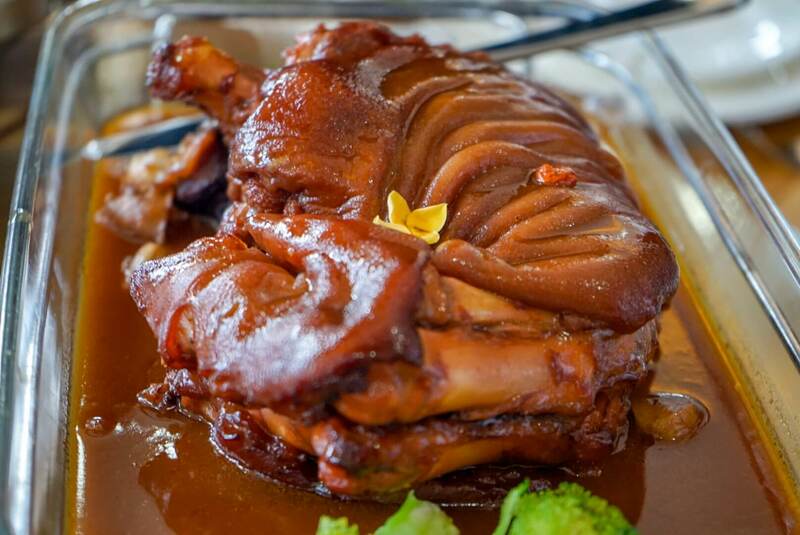 We highly recommend this place for those who want to explore the tastes of Asia as they have Chinese, Japanese, and Filipino dishes on their menu. For our dessert we headed over to Rainne’s Café, their Blueberry Cheesecake and Mango cheesecake are to die for. 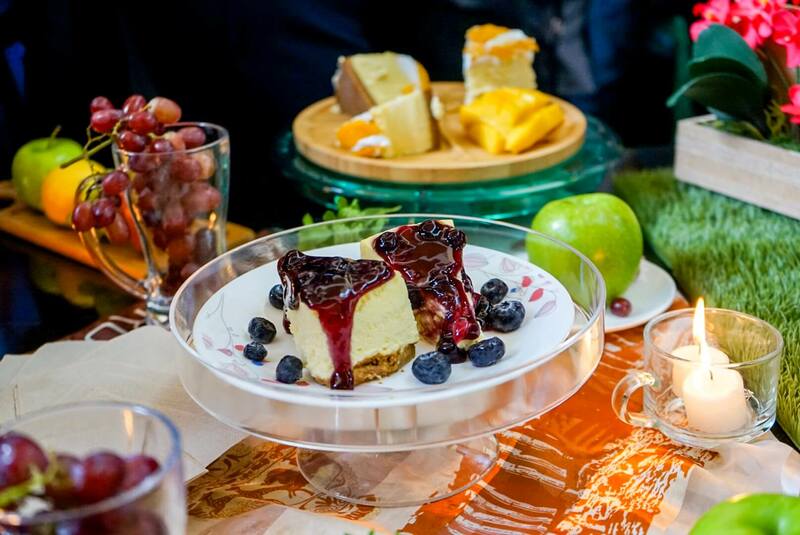 The cheesecakes were light and the fruit toppings are fresh and very delicious. This spot is perfect for those who are not much of a fan of sweet cakes. 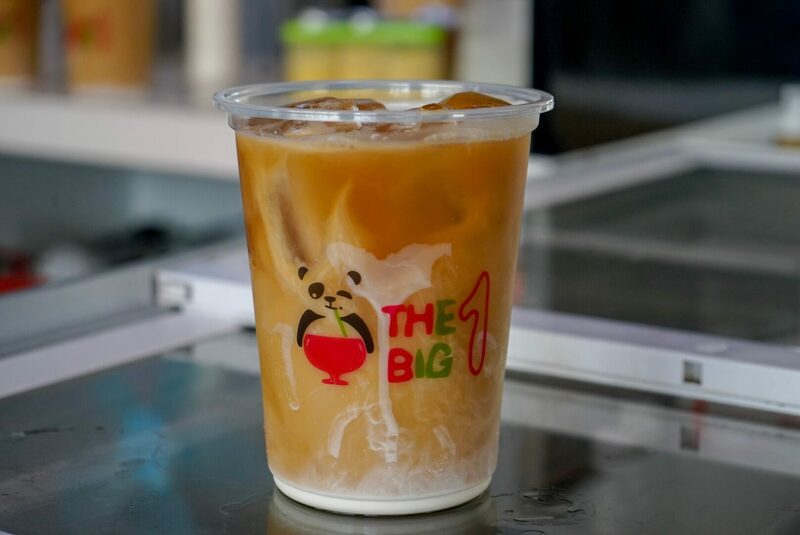 They also had served sample of their tea drinks in small cups at the The Big One stall which will be another perfect place to chill and sip your afternoon milk tea. There are also other restaurants in the whole complex that can be enjoyed like the Fish Music Bar and Restaurant, Golden Fortune, and Mr. A’s Bar but unfortunately they didn’t participated in the food tasting event. All in all, the Seascape Village is another place for us to get excited about. The place was very neat and organized and the restaurant offer variety of dishes and styles. It will surely be the next place to be for family gatherings, friends’ night out, or for anyone’s next food adventure. I can’t wait for it to be complete and perhaps sit by one of the restaurants and enjoying the sunset over Manila Bay.